Dale Akers helped keep the University operating for 42 years. Dale started as a plumber in 1949 when he first came to Fort Hays State University. With the exception of three years in the military, he devoted his entire working life to the University.  He moved up the ladder to Maintenance Engineer, Physical Plant Supervisor I, Physical Plant Supervisor II, Assistant Physical Plant Director and Physical Plant Director. It would be an understatement to say that Dale witnessed many changes at FHSU during his tenure here. In an article in the Hays Daily News, entitled "Building to be named after retired director," December 10, 1991, in an interview with Tim Parks, Managing Editor, Dale pointed to the invention of air conditioning as an example of the building modifications that have been made in those four decades. Dale said, "President Wooster had a small office in Albertson with one air conditioner in the window." That was the only air conditioner on the campus at that time. 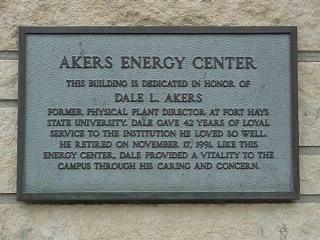 Dale Akers gave 42 years of loyal service to Fort Hays State University, retiring November 17, 1991.